Sigur Rós Release New $420 Blanket for "Blissing Out in True Style"
Sigur Rós are no strangers to promoting themselves via lavish high-priced merch. They might have just outdone themselves, though, by revealing a seriously fancy — and pricey — blanket. The Icelandic group are now selling a new band-branded blanket that will run you a hefty $325 USD, which — rather amazingly — comes out to $420 CAD. That's the new blanket up above, and as the band explain, it's "rendered in a beautiful muted pallette [sic] of natural grey hues, with salmon pink edging." Furthermore, it's perfect for "blissing out in true style." As keen Sigur Rós merch fiends no doubt already know, this isn't even the band's first blanket, but rather a follow-up release. six years ago we made a 300-limited edition icelandic wool blanket for the release of valtari. it was so popular that we went straight back to the factory out near eyjafjallajökull and asked to do a second run. these also sold out in a matter of hours. thus, we've always had it in the back of our minds that, when the time was right and we had the right design, we should do another sigur rós blanket and now, finally, in the middle of one of the coldest winters most of us can we remember, we have. 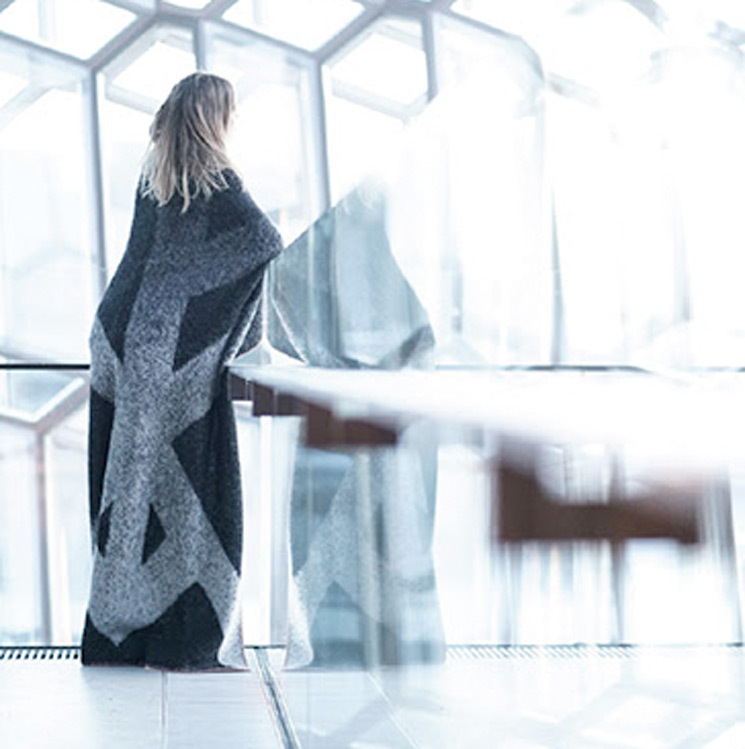 coming in a limited edition of 500, this beautiful large blanket is made in iceland from 100% icelandic wool, and created in collaboration with our friends at farmers market. rendered in a beautiful muted pallette of natural grey hues, with salmon pink edging, the blanket is equally great as a stylish throw, wrapping up on chilly nights, spreading out in the park for a picnic with friends, or bringing along to one of the liminal soundbath events planned for later in the spring/summer, and blissing out in true style. You can see more product shots, as well as get more info about the blanket, over here. The news of the blanket comes after Sigur Rós were investigated and subsequently cleared of tax evasion.